How about another giveaway to end your work week? A group of Michigan bloggers (including me!) 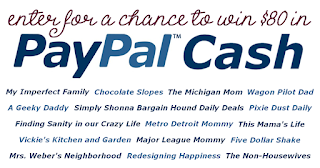 came together to sponsor a PayPal cash giveaway - all you have to do is follow us on Twitter to enter! 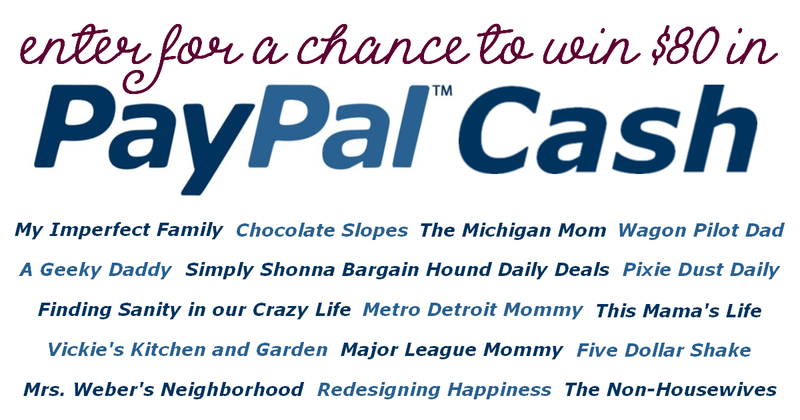 Enter using the Rafflecopter widget below! How would I spend $80.00 Cash? Well, Christmas is coming, and I have many gifts to buy for family, so that would be what I would spend $80 for. I would spend it on my grandson.